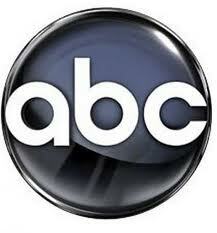 ABC News: Bill Ritter, a close partner in our work with ABC and the local NYC anchor for WABC, posted the following request “I’m working on a project for ABC News that I’ve been dreaming about doing for more than a decade. It’s about what has been, perhaps, the most taboo of topics. But now it’s time to bring it out of the closet, and into the open. We’re calling it ”The Conversation” and right now it’s in the beginning stages. We want to help people open up to the ones they love, without judgment, about the kind of goodbye they want. The kind they could have. This isn’t a religious or political process. And it’s not all about death. It’s about life.” As of 5:00pm ET Bill’s post and request has been tweeted 18 times. Please note, while there is no direct hyperlink to The Conversation Project, this post is actually a “re-post” that first appeared on the WABC NYC affiliate website.